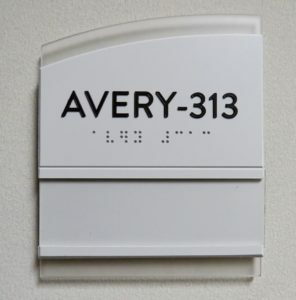 ADA Signage is required for all permanent spaces or rooms in a building. It helps people with visual impairments to navigate safely. ADA Signs are available in many colors, sizes, shapes, and materials. 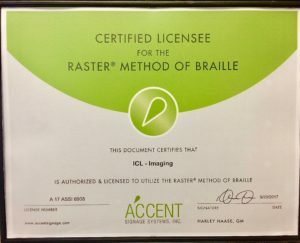 ICL Imaging will help you with the ADA Signage requirements. 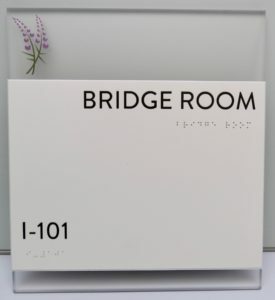 Common uses for ADA signs are: Museums, Corporate Buildings – interior and exterior, Hospitals and Healthcare buildings, and Architectural Signage. ICL Imaging, a nationally recognized leader in the field of large format printing, has been achieving outstanding creative results in printing large format graphics since 1956!